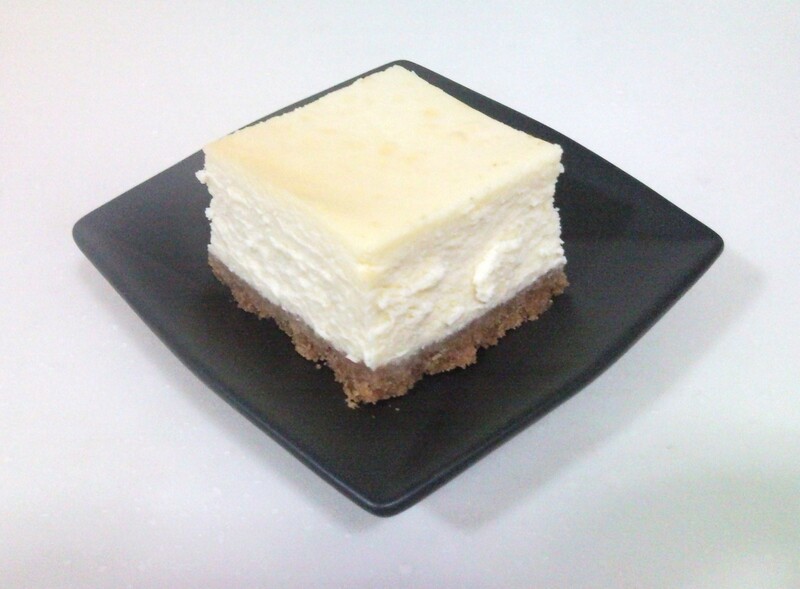 Premium cream cheese mixture layered on crunchy digestive biscuit base. 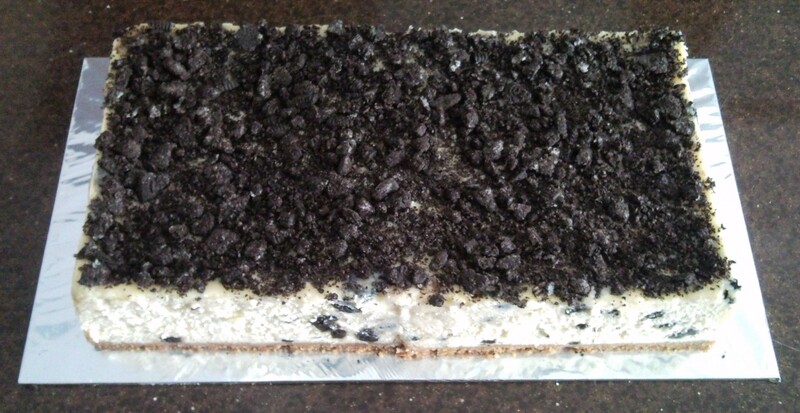 Premium cream cheese mixture and cookie crumbs layered on crunchy digestive biscuit base and topped with cookie crumbs. 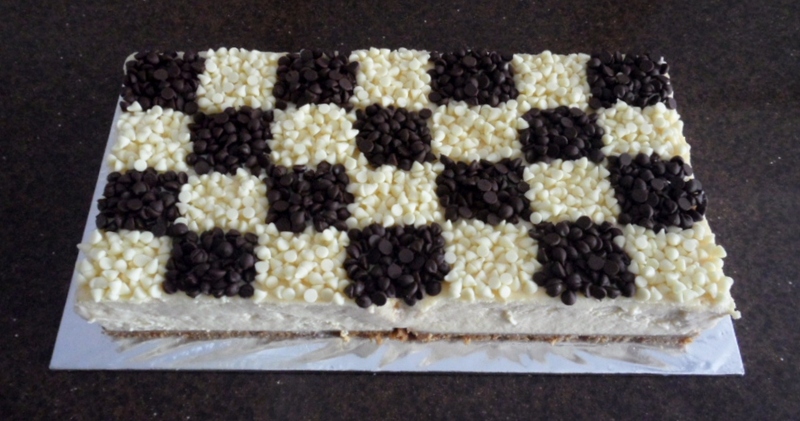 Premium cream cheese mixture layered on crunchy digestive biscuit base and topped with semi-sweet chocolate chips and white chocolate chips. 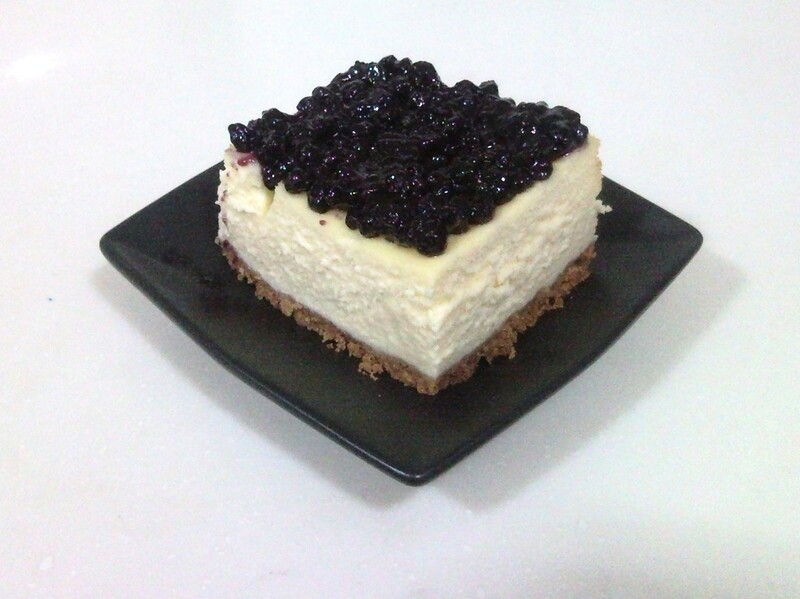 Premium cream cheese mixture layered on crunchy digestive biscuit base and topped with wild blueberry pie filling. 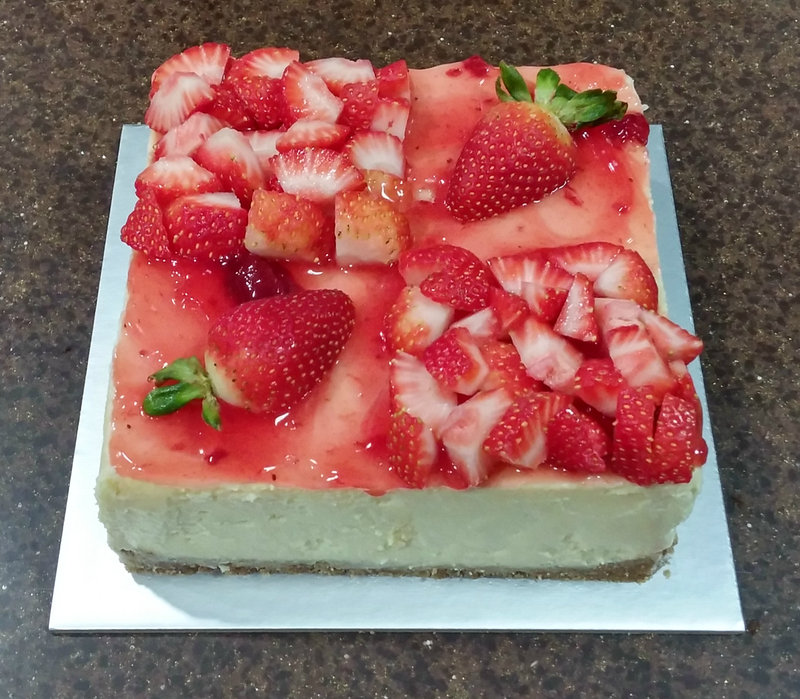 Premium cream cheese mixture layered on crunchy digestive biscuit base and topped with strawberry pie filling and fresh strawberries. 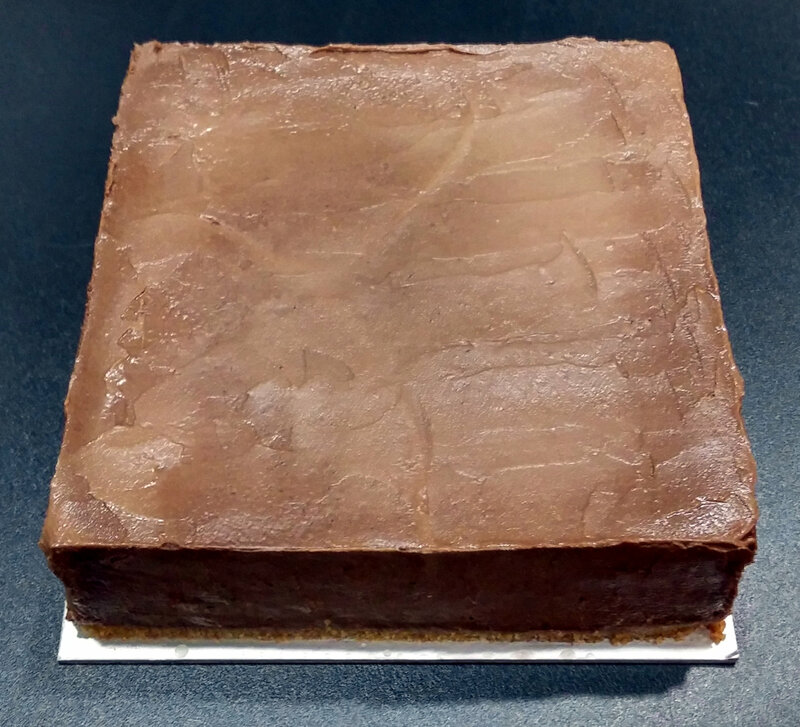 Premium cream cheese mixture and melted dark chocolate layered on crunchy digestive biscuit base.